I sometimes get asked what the definition of these states is, and I frequently have trouble defining it clearly. Fortunately, EMC’s MirrorView Knowledgebook has been updated to incorporate Release 32, and Appendix A has some succinct definitions. If you can’t be bothered looking them up for yourself, here they are. Synchronized – The secondary image is identical to the primary. This state persists only until the next write to the primary image, at which time the image state becomes Consistent. Consistent – The secondary image is identical to either the current primary image or to some previous instance of the primary image. This means that the secondary image is available for recovery when you promote it. 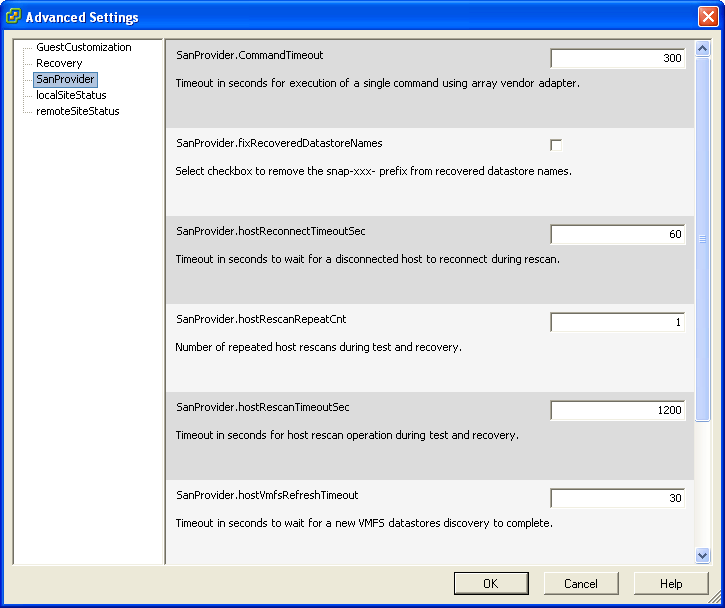 Synchronizing – The software is applying changes to the secondary image to mirror the primary image, but the current contents of the secondary are not known and are not usable for recovery. Out-of-Sync – The secondary image requires synchronization with the primary image. The image is unusable for recovery. Rolling Back (MV/A only) – A successful promotion occurred where there was an unfinished update to the secondary image. This state persists until the Rollback operation completes. I think one of the key things here is to pay attention to the various image states, particularly if you’re seeing a lot of out-of sync states on your secondaries. You don’t want to have to explain to people why they can’t recover secondaries in the event of a serious failure. And, more importantly, get on Powerlink and check out the MirrorView Knowledgebook (H2417). Last week Mat was wanting to migrate some WIL LUNs on one of our CX4s to a different RAID Group. Unfortunately, one does not simply migrate WIL LUNs. Firstly, once they’re allocated, they’re treated as Private LUNs by FLARE, so you can’t use Virtual LUN technology to migrate them. Secondly, if you have active MirrorView mirrors in place, you’ll get the following error when trying to de-allocate the WIL LUNs via Unisphere: “Unable to deallocate WIL since in use (0x71058199)[0x71058199]“. Note that fracturing the mirrors is not sufficient to avoid this error. So there’s a few things you need to do to resolve this. Firstly, confirm the WIL LUNs in use on the array (there’s only 2). Now list all the mirrors that are using the WIL. Note that it lists the primary and secondary mirrors, so you’ll need to extraxt the primary mirrors from the list. Now the simplest thing to do is create a script that runs the command below for each of the mirrors in your list of primaries. This command disable the use of the WIL, and -o won’t prompt for confirmation. Now that you’ve done that, you can allocate the new WIL LUNs. Now run your script again, changing -usewriteintentlog from no to yes. And now you can get rid of those old WIL LUNs. Huzzah! I’ve been rebuilding our lab CLARiiONs recently, and wanted to configure the Reserved LUN Pool (RLP) for use with SnapView and MirrorView/Asynchronous. Since I spent approximately 8 days per week in Unisphere recently performing storage provisioning, I’ve since made it a goal of mine to never, ever have to log in to Unisphere to do anything again. While this may be unattainable, you can get an awful lot done with a combination of Microsoft Excel, Notepad and naviseccli. Firstly, I created a RAID Group with an ID of 1 using disks 5 – 9 in the first enclosure. It was then necessary to bind a series of 20GB LUNs to use, 25 for each SP. If you’re smart with Excel you can set the following command to do this for you with little fuss. Here I’ve specified the raid-type (r5), the lun id (50), the RAID Group (1), -aa 0 (disabling auto-assign), -cap (the capacity), -sp (a or b), and the -sq (size qualifier, which can be mb|gb|tb|sc|bc). Note that if you don’t specify the LUN ID, it will automatically use the next available ID. Once you’ve created the LUNs you require, you can then add them to the Reserved LUN Pool with the reserved command. To check that everything’s in order, use the -list switch to get an output of the current RLP configuration. No LUN in LUN Pool associated with target LUN. If, for some reason, you want to remove a LUN from the RLP, and it isn’t currently in use by one of the layered applications, you can use the -rmlun switch. If you omit the override [-o] option, the CLI prompts for confirmation before removing the LUN from reserved LUN pool. It’s possible to argue that, with the ability to create multiple LUNs from Unisphere, it might be simpler to not worry about naviseccli, but I think that it’s a very efficient way to get things done quickly, particularly if you’re working in a Unisphere domain with a large number of CLARiiONs, or on a workstation that has some internet browser “issues”. Tired of sifting through a Consistency Group to see the status of MirrorView synchronizations? Tire no more with the mirror -sync -listsyncprogress command! With the introduction of Flexports the location of the MirrorView front-end port is not always the last port on the SP. Sometimes you’ll find it quicker to identify the MirrorView port through the use of naviseccli. Here’s how to do it. If you don’t have the MirrorView enabler installed on the array, but want to keep the port aside for when you do, use the ioportconfig command to identify any ports marked as Special in Port Usage – these ones are MirrorView ports. If you have the MirrorView enabler installed the port command is all you need. This is a handy command with some pretty verbose output, and provides information on the total number of attached initiators, amongst other things. Of course you can always look at the ports in Unisphere – check out an old post I did a little while ago for information on how to do that. I wrote a brief article on configuring EMC MirrorView from scratch through to being ready for VMware SRM usage. It’s not really from scratch, because I don’t go through the steps required to load the MirrorView enabler on the frame. But I figured that’s more a CE-type activity in any case. I hope to follow it up with a brief article on the SRM side of things. You can find my other articles here. Enjoy! When the CX4 was released some time ago, I sat through on-line training and learnt about the differences between the CX3 and CX4. One of the big things for the CX4 was the introduction of I/O modules that enabled you to scale out front-end performance for the array. But, like any training I’ve undertaken, I filed away the information about how they work in the real world and forgot all about it. So when we went to test MV/S connectivity between our two 960 arrays, we had some connectivity issues. When we went to establish a MirrorView connection, this is what we got on the first array. On the second array, it looked like this. Not so cool. But the boneheaded thing I’d forgotten from my CX4 What’s New training was that, when an array is first initialised, the MirrorView ports are assigned to the last port. If you add I/O modules after the fact, those MV ports don’t change. So while one of the array’s was a new CX4-960, the other was an upgraded CX3-40f, which had different ports when it was upgraded. Here are some pictures that serve to illustrate my words. You’ll notice that on the second array the MirrorView ports are A1 and B1, not A3 and B3. And finally, it’s important to respect the zoning rules with MirrorView – something my colleague didn’t understand when he had B1 zoned to A3, and so forth. Good times.